Don’t let these goblin cupcakes scare you too much, you can take a bite out of them and they wont bite back! 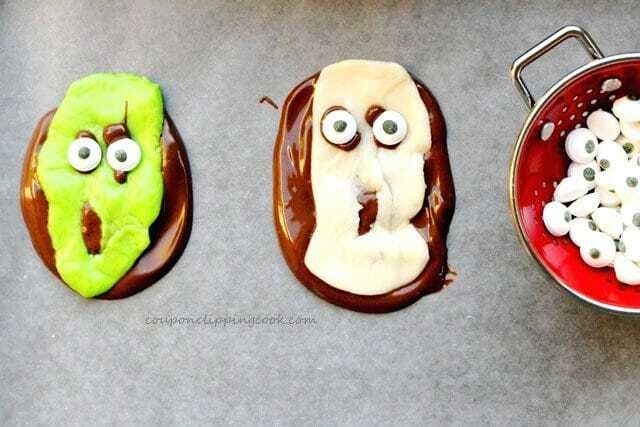 Candy eyeballs are great to have on hand when decorating Halloween treats. They come in various sizes and there are even bloodshot ones that can amp up the scariness factor if you like. Candy eyeballs are one of my favorite decorations out there. Here are some more treats where candy eyeballs can be used “Gingerbread Cookie Dough Reindeer Pops“, “Halloween Graveyard S’mores“, and “Halloween Creepy Crawler Spiders“. 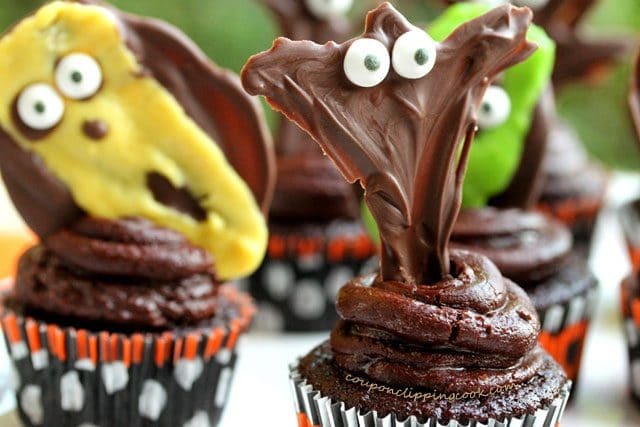 The Goblins that top these cupcakes are made with Tootsie Flavor Rolls and chocolate coating. The combination of these flavors taste so good together, not to mention that these cupcakes have a double chocolate punch with the moist chocolate cupcake and the creamy rich chocolate frosting. Although I made the cupcakes and frosting from scratch in this recipe, you could certainly use cake mix in a box, and the pre-made frosting if you prefer. The decorations on the cupcakes are super easy to make and fun project for both kids, teens and adults. The fun part about making the goblin and tree decorations is that they don’t have to be perfect. As a matter of fact, the less perfect they are the better so they look more scary. When making the scary trees, feel free to be creative, one of my trees looks a little like a ghost more than it does a tree but that’s okay because all I had to do was add a couple candy eyeballs and it looked perfect (or I should say imperfect) as a Halloween decoration. 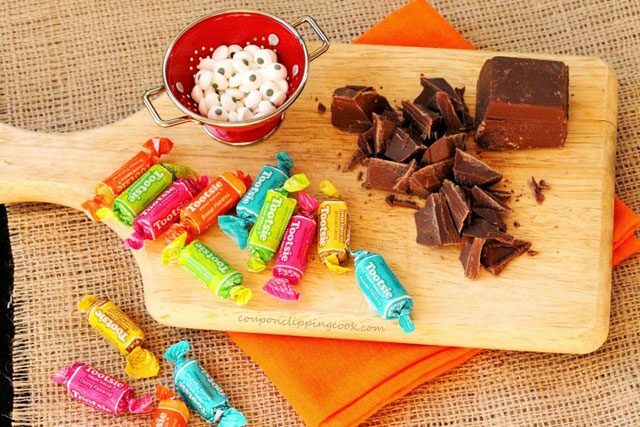 Ingredients for the Goblins and Scary Trees – Chocolate candy coating (Almond Bark), Tootsie Flavor Rolls, and candy eyeballs. To make the Goblin faces, unwrap the Tootsie Rolls. Then, with your fingers flatten out the Tootsie Roll into a rounded rectangle-type shape. Then with the tip of a knife make small holes for the eyes and nose. Next, make a small cut for the mouth. Lastly, gently stretch it out to make a ghost-like face. Set the Goblin faces aside on wax paper. I didn’t use wax paper for these goblin faces but I should have. They came off the plate just fine with the help of a small knife but wax paper would work best. Spread another piece of wax paper over a cookie sheet. Put the candy coating in a small bowl and melt it in the microwave for about 30 seconds. 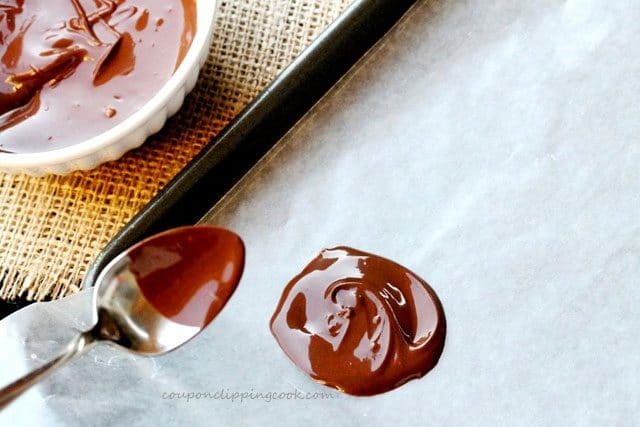 Use the back of a small spoon to spread the chocolate on to the wax paper in an oval shape that is a bit larger than the Goblin faces. Then lay a Goblin face over the chocolate and gently push it down so the chocolate seeps through the eyes, nose and mouth. TIP – Make these one at a time so that the chocolate candy coating is soft enough for the Tootsie Roll goblin face and eyeballs to stick. Repeat this process for each Goblin face. 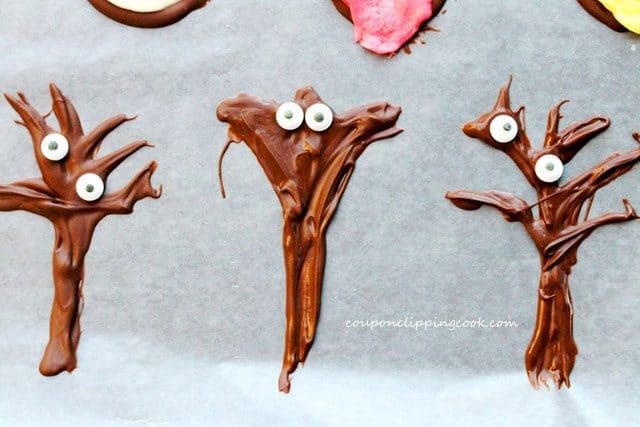 It’s okay if the chocolate seeps out of the eyes unevenly, imperfection is perfect for these scary Goblins. I left off noses for some of them just to make them more creepy. Then make the scary trees with the remaining chocolate coating in the bowl (melt this again if needed). Also, you may need to add and melt more chocolate coating depending on how many trees you would like to make. Use a spoon to make the trees; dip the back of a small spoon (dinner table size) in the chocolate and then draw a tree trunk and random branches. Then randomly put the eyeballs on the tree. TIP – When making the trees, try to add the chocolate on the wax paper on the thick side so when you remove them, the branches and the trunk won’t break off. TIP – Make one tree at a time so the chocolate is soft enough for the eyeballs to stick. The one in the middle is the one that looks more like a “ghost”! 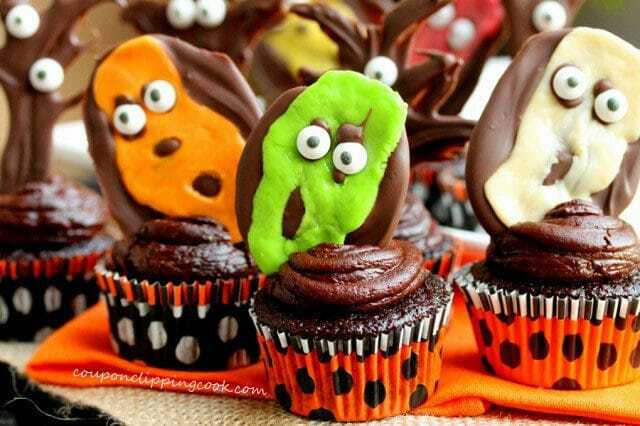 Let the chocolate Tootsie Roll Goblins and scary trees cool and chill in the refrigerator while making and cooling the cupcakes. …and whisk together the egg mixture. 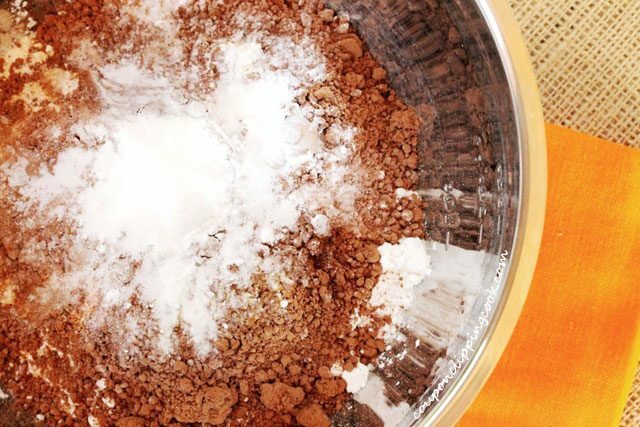 TIP – With a large spoon, stir all of the ingredients together a few times so that the flour and cocoa powder don’t create a huge dust storm in your kitchen when you use a mixer. Beat the mixture with a hand mixer on medium speed for about 2 minutes. TIP – An easy way to heat the water is in a microwave proof mug in the microwave. Stir the water into the mix. I just happened to have a whisk handy but you could use a large spoon if you prefer. 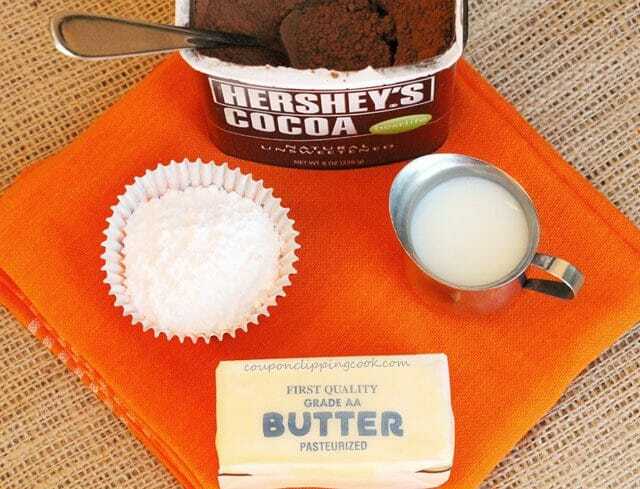 Line the cupcake tin with paper baking cups. 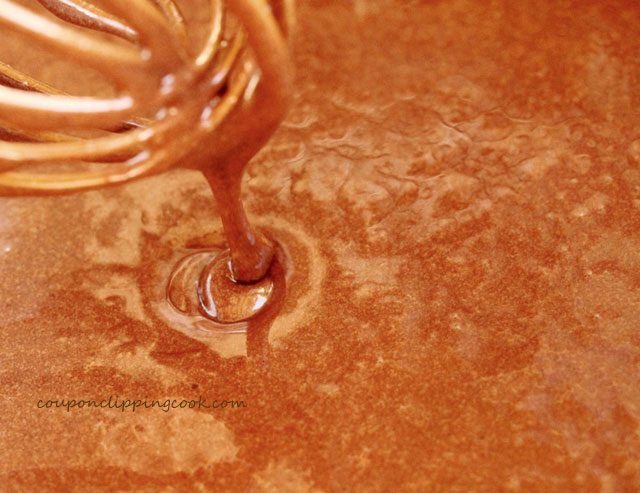 Pour the batter into a pouring measuring cup with a spout, or any other type of container with a pouring spout. 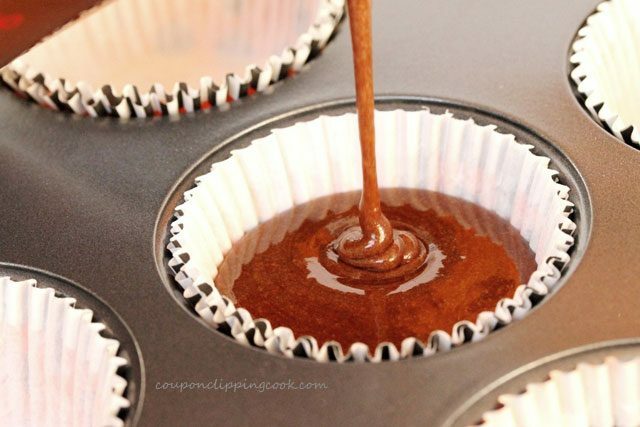 TIP – A pouring measuring cup makes it easier to pour the batter into the paper baking cups. Fill the baking cups just a bit more than ½ full. 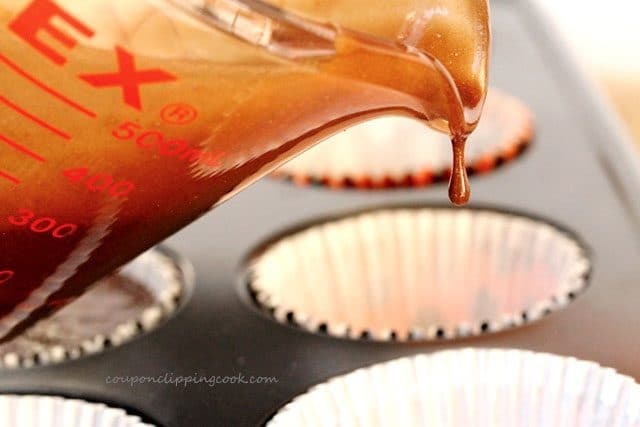 TIP – For this recipe, I have the best luck when I fill the batter half full in the paper cups so the top surface of each cupcake is a fairly level surface for the frosting. I’ve found that if there is too much batter in the baking cups, the batter tends to run outside of the baking cups pretty easily when baking since the batter is on the thin side. Bake in a preheated oven for 22 to 25 minutes, or until a toothpick comes out clean when inserted in the middle of a cupcake. Let cool on a rack before adding the frosting. 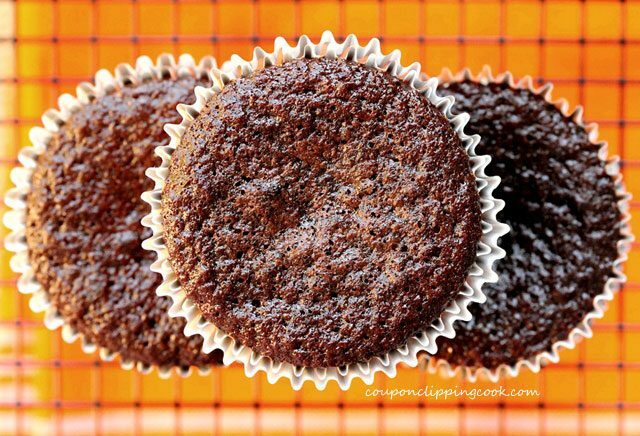 TIP – The frosting can be made while the cupcakes are cooling. …then stir with a spoon. 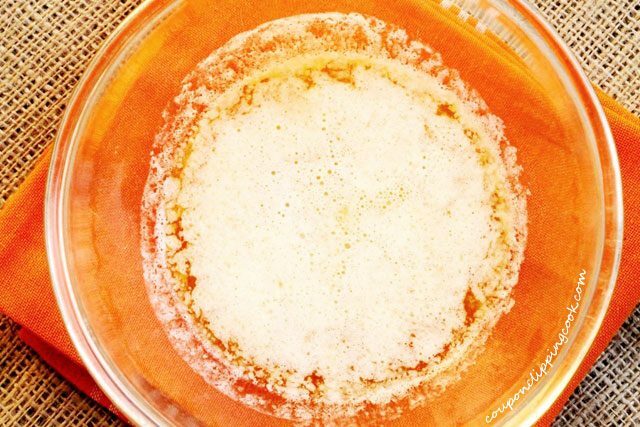 …until the frosting is at a spreading consistency. 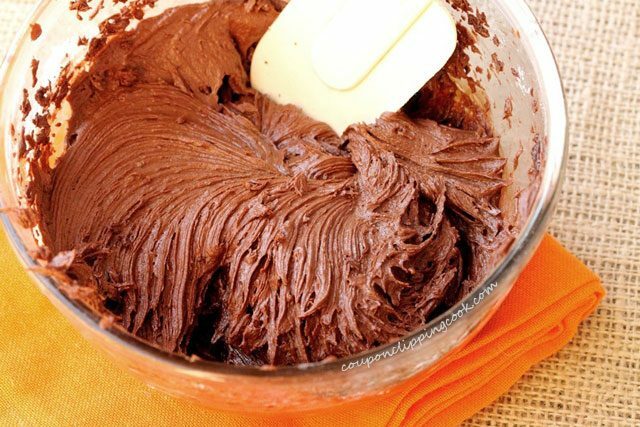 TIP – If the frosting isn’t quite creamy enough, add a slight bit more milk and mix with a hand mixer. Remove the goblins and scary trees from the refrigerator. Gently pull the wax paper from each decoration and stick them into the frosting that’s on top of the cupcake. TIP – Try to limit how much the chocolate goblins and trees are handled to prevent them from getting soft or melting from the warmth of your fingers. …enjoy each and every scary bite! Don't let these goblin cupcakes scare you too much, you can take a bite out of them and they wont bite back! 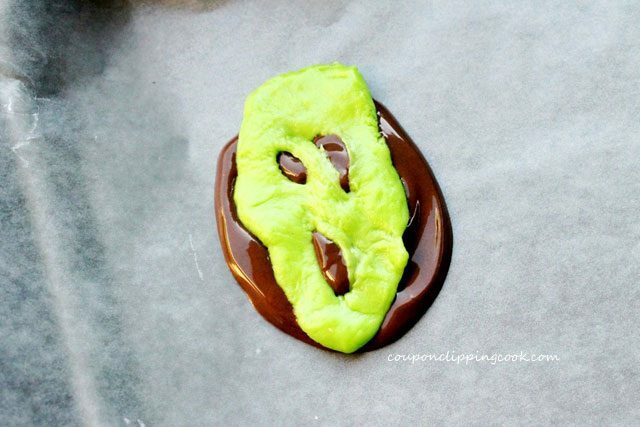 Start by making the Goblin faces; Lay a sheet of wax paper on a large flat plate or cookie sheet. Set aside. Unwrap the Tootsie Rolls. 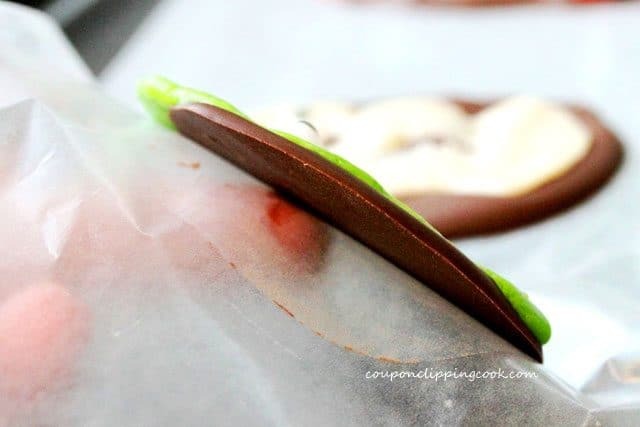 With your fingers flatten out the Tootsie Roll into a rounded rectangle-type shape. With the tip of a knife make small holes for the eyes and nose. Next, make a small cut for the mouth. Lastly, gently stretch it out to make a ghost-like face. 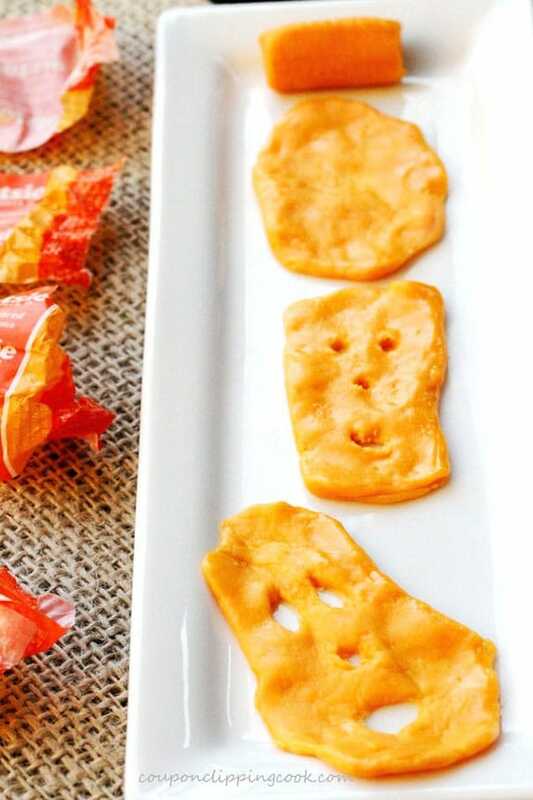 Set the Goblin faces on the wax paper and set aside. 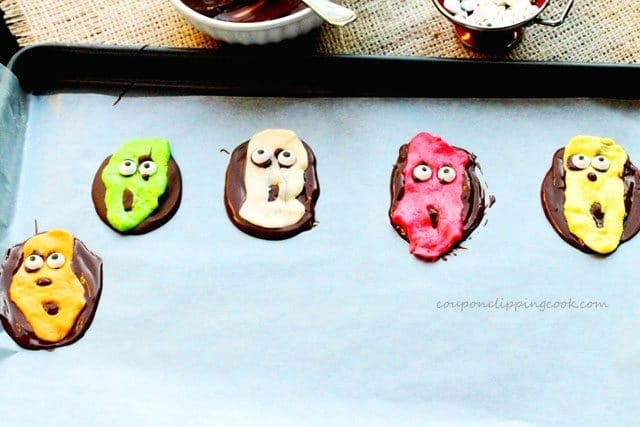 Next, make the chocolate background for the Goblin faces; lay another piece of wax paper over a cookie sheet (or large flat plate). Put the candy coating in a small bowl and melt it in the microwave for about 30 seconds. 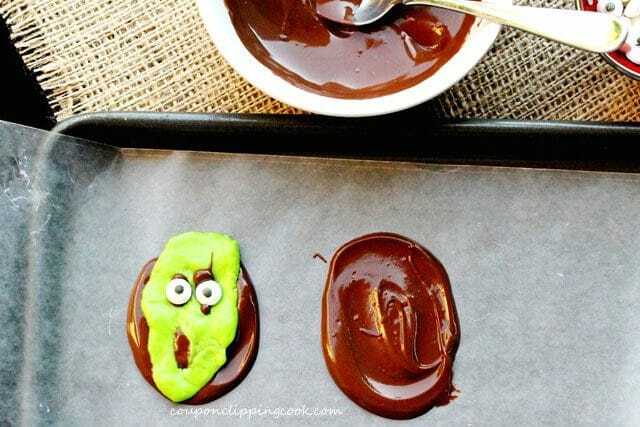 Use the back of a small spoon to spread the chocolate on to the wax paper in an oval shape that is a little bit large than the goblin faces. Then lay a Goblin face over the chocolate and gently push it down so the chocolate seeps through the eyes, nose and mouth. Then add the eye balls so that they touch the chocolate that is seeping out of the eye holes of the Tootsie Roll. Repeat this process for each Goblin face. 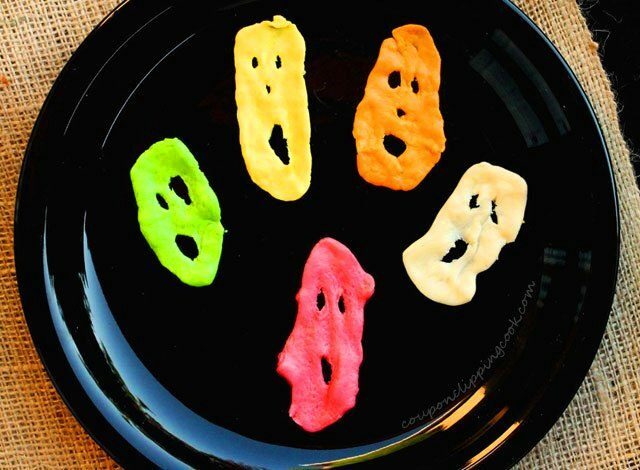 Then, make the scary trees; Lay a long piece of wax paper on to a large flat plate or cookie sheet. Set aside for a moment. 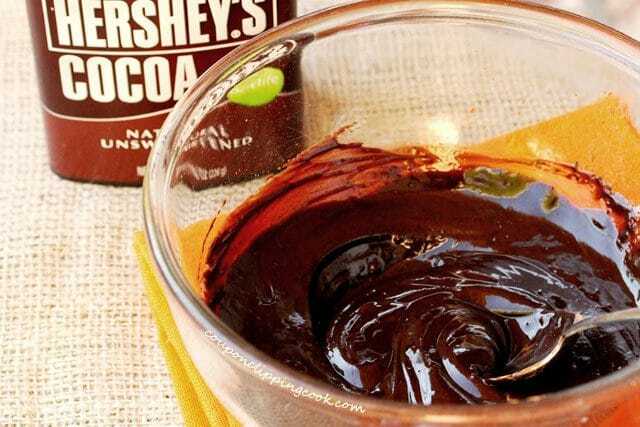 Add more chocolate coating to the chocolate bowl and melt it for 30 seconds. Stir until creamy. 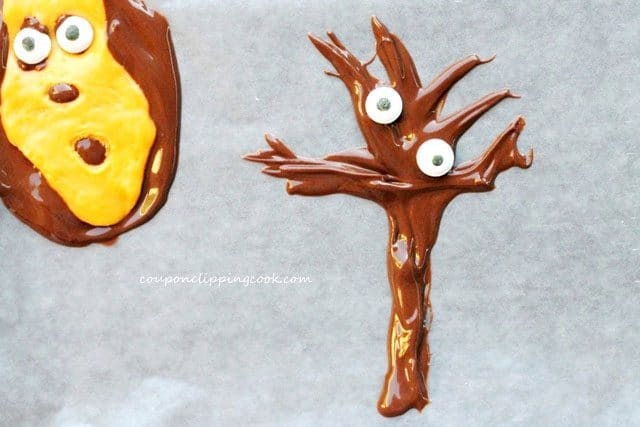 Dip a small spoon in the melted chocolate, and on the wax paper draw a tree trunk. 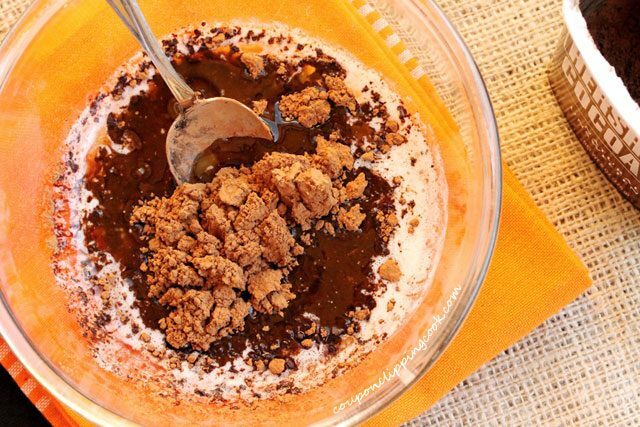 Dip the spoon back in the melted chocolate and add branches to the tree trunk. 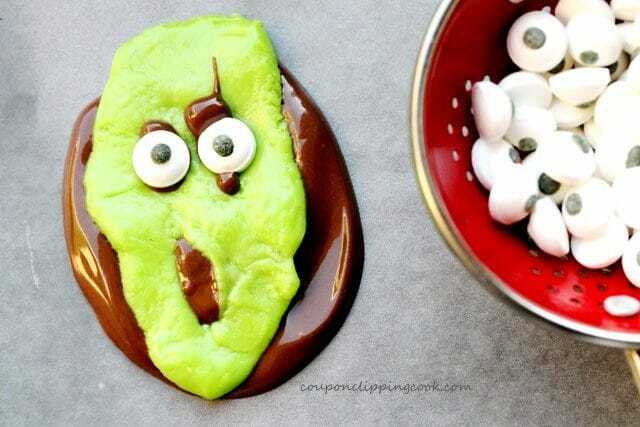 While the chocolate is still warm and soft, add candy eyeballs randomly on the tree to make it look scary. Repeat the process to make more trees. But make them one at a time so that the chocolate is soft when it's time to put the candy eyeballs on the tree. Put the plates/cookie pans with the chocolate goblins and scary trees in the refrigerator to chill while the cupcakes are being made, baked and cooled. Preheat oven to 350 degrees F. In a large bowl, combine the dry ingredients. Set aside. 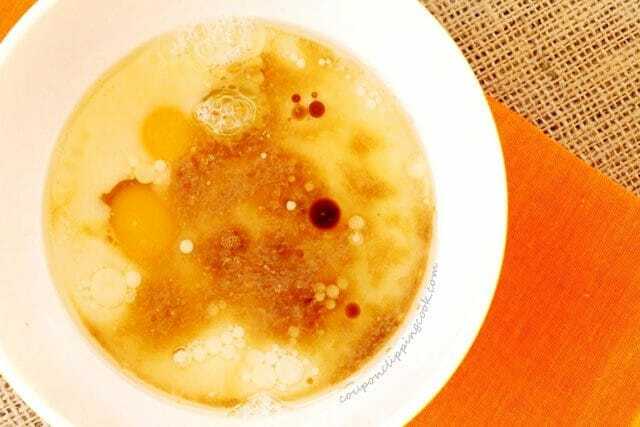 In a medium size bowl, combine the eggs, milk, canola oil, and vanilla extract. 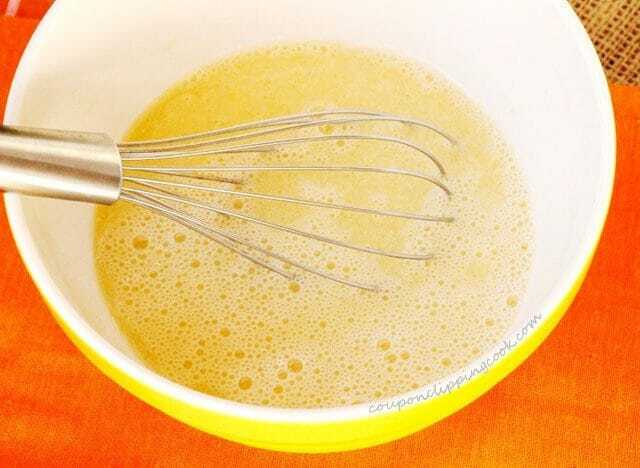 Whisk together the egg mixture. Add the egg mixture to the dry ingredients. 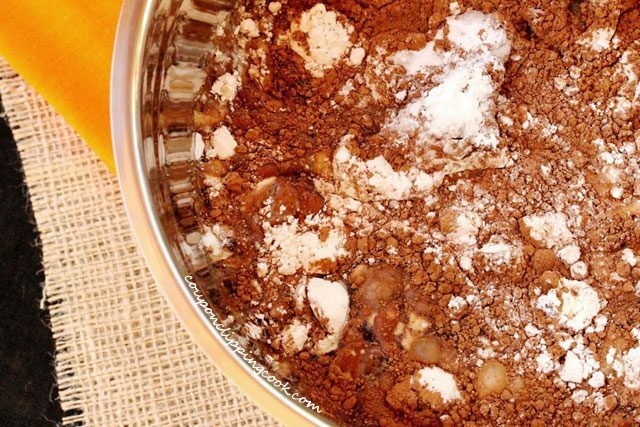 With a large spoon, stir all of the ingredients together a few times so that the flour and cocoa powder don’t create dust when using a hand mixer. Beat the mixture on medium speed for about 2 minutes. Pour in the boiling water (an easy way to heat the water is in a mug in the microwave). 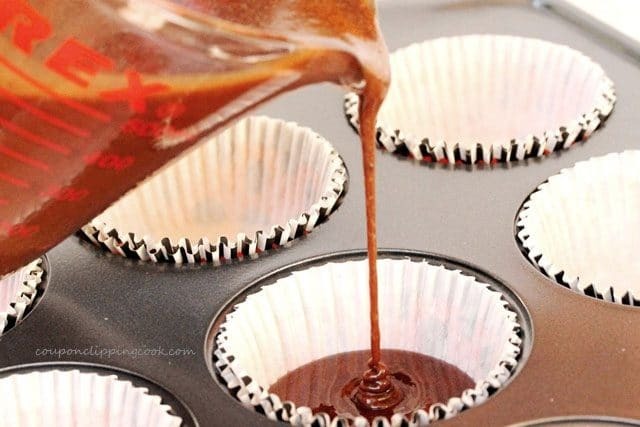 Line the cupcake tin with paper baking cups. 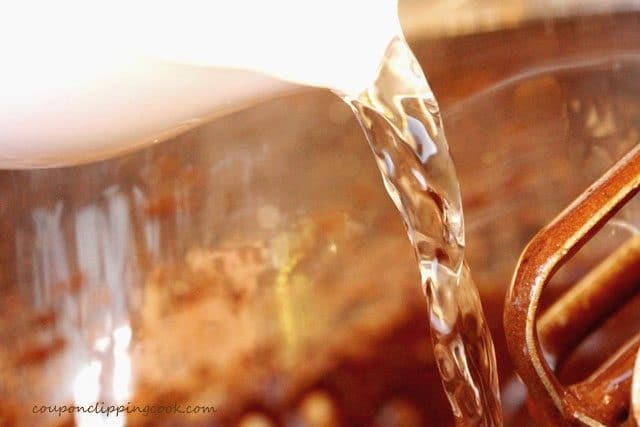 Pour the batter in a pouring measuring cup with a spout, or any other type of container with a spout (this makes it easier to pour the batter into the paper baking cups). Fill the baking cups just a bit more than ½ full. 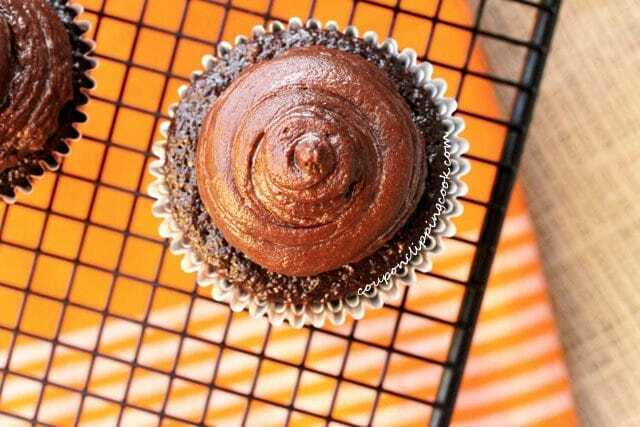 Bake at 350 F. for 22 to 25 minutes or until a toothpick comes out clean when inserted in the middle of a cupcake. Let cool before adding the frosting. Melt the butter. Stir in the cocoa and vanilla. 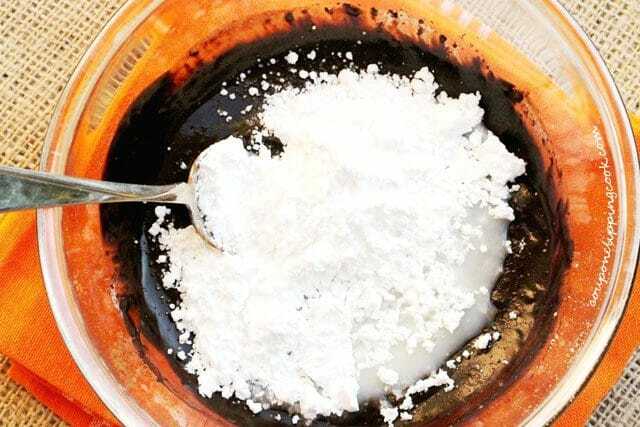 Alternately add the powdered sugar and milk, beating on medium speed until the frosting is at a spreading consistency. If the frosting is not creamy, add a slight bit more milk and mix with a mixer. Frost the cupcakes. Gently remove the Goblins and Scary Trees from the wax paper and gently stick them into the frosting on top of each cupcake. 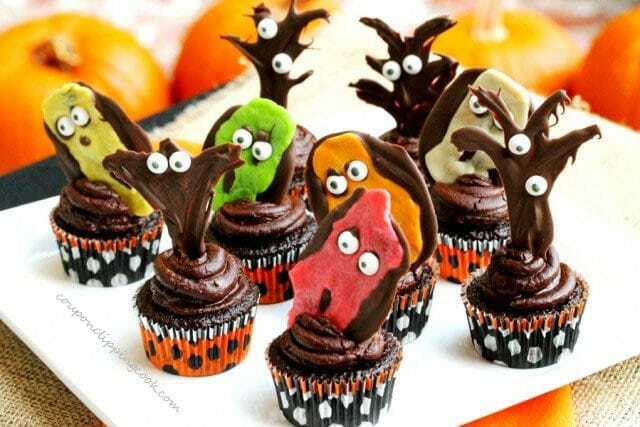 Make the candy goblins and scary trees first and let chill while making, baking and cooling the cupcakes. The frosting can be made while the cupcakes are cooling. Make these one at a time so that the chocolate candy coating is soft enough for the Tootsie Roll goblin face and eyeballs to stick. When making the trees, try to add the chocolate on the wax paper on the thick side so when you remove them, the branches and the trunk won't break off. Make one tree at a time so the chocolate is soft enough for the eyeballs to stick. 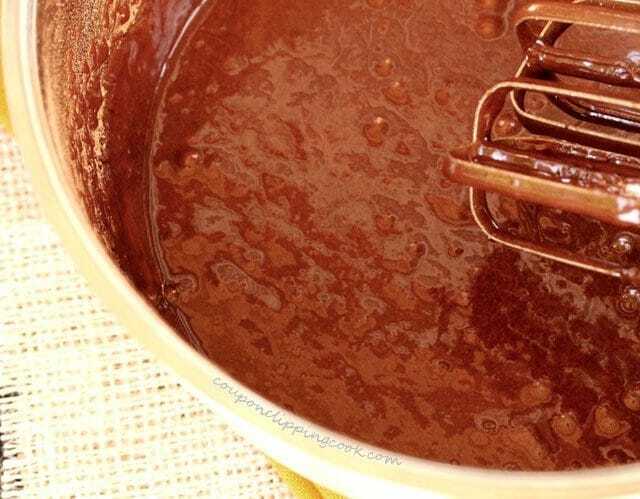 Before mixing the ingredients with a hand mixer, use a large spoon to stir all of the ingredients together a few times so that the flour and cocoa powder don’t create a huge dust storm in your kitchen when the mixer is used. 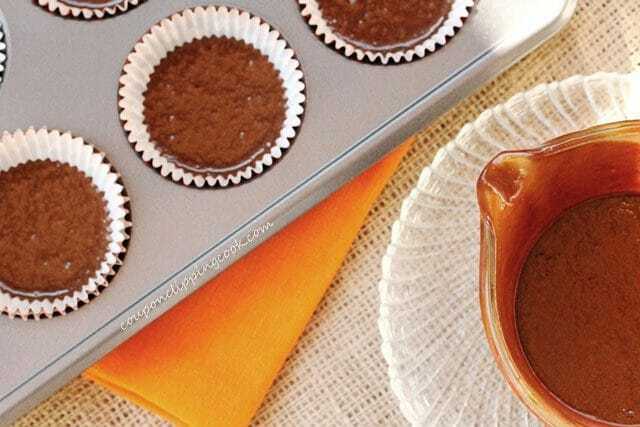 An easy way to heat the water for the cupcake batter is in a microwave proof mug in the microwave. 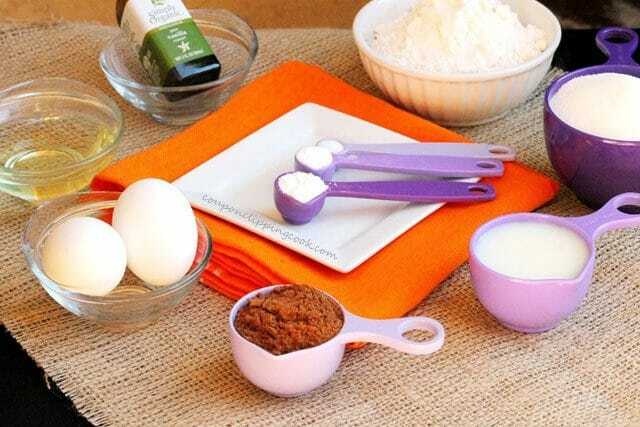 To prevent the cupcake batter from making a mess around the cupcake liners, use a pouring measuring cup to pour the batter into the paper baking cups. For this recipe, I have the best luck when I fill the batter half full in the paper cups so the top surface of each cupcake is a fairly level surface for the frosting. If the frosting isn't quite creamy enough, add a slight bit more milk and mix with a hand mixer. Try to limit how much the chocolate goblins and trees are handled to prevent them from getting soft or melting from the warmth of your fingers. This recipe was originally published on October 31, 2011. Hi Meliss, so glad you like these scary cupcakes. 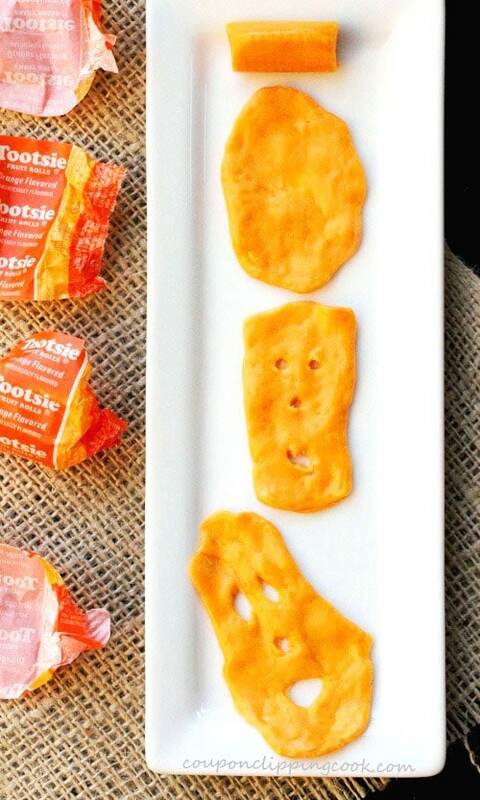 Love your idea to use the chewy starburst…the colors are perfect. Sounds like your son is going to love his haunted cake! Happy Birthday a few days early to your son! Thank you so much for stopping by. 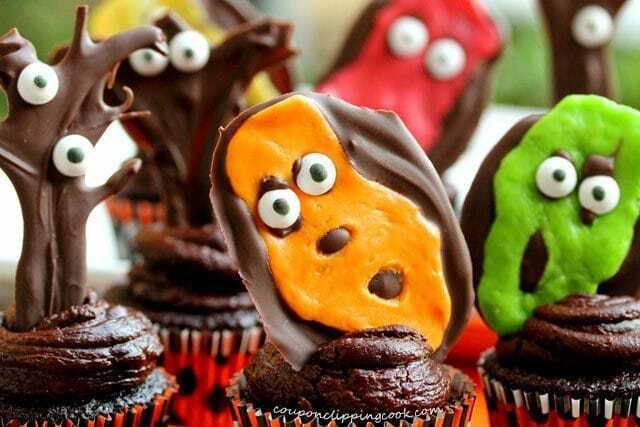 These cupcakes are adorable, sorry I mean terrifying. Love them. Hi Kari, so glad you like them. Thank you for stopping by! 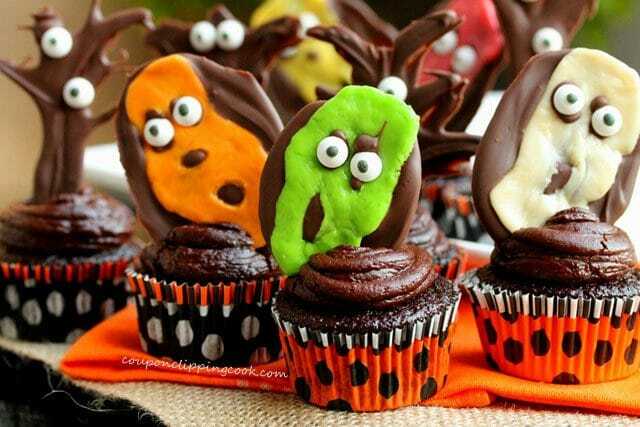 These are, by far, the cutest Halloween treats I’ve seen. Love your creativity! 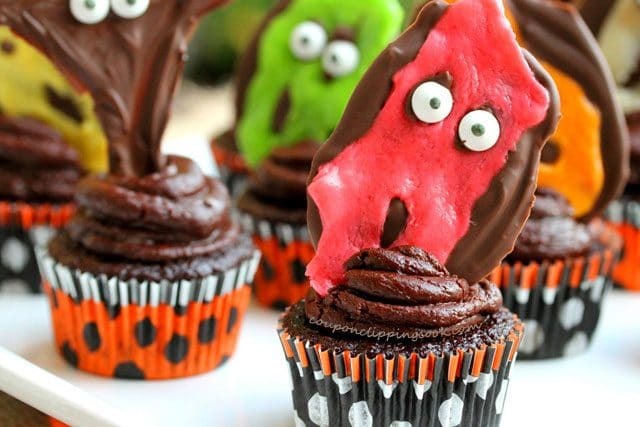 These ghoulish cupcakes are a perfect treat for today-happy halloween! The cupcakes look so rich and moist, I would love to have one. 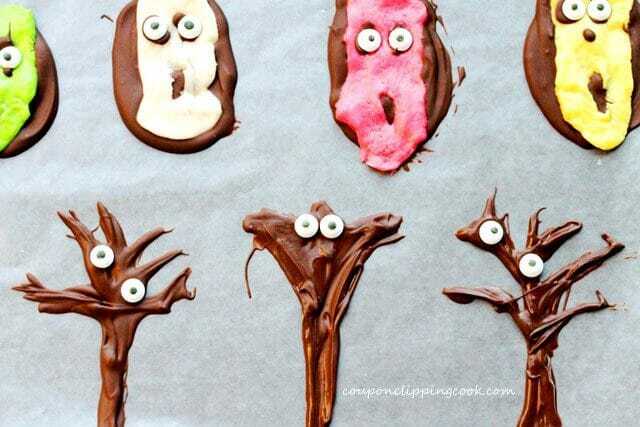 You really did make them festive- love the spooky faces and the use of tootsie rolls here is a very creative idea. Well done! Hi Tina, thank you very much. Happy Halloween!